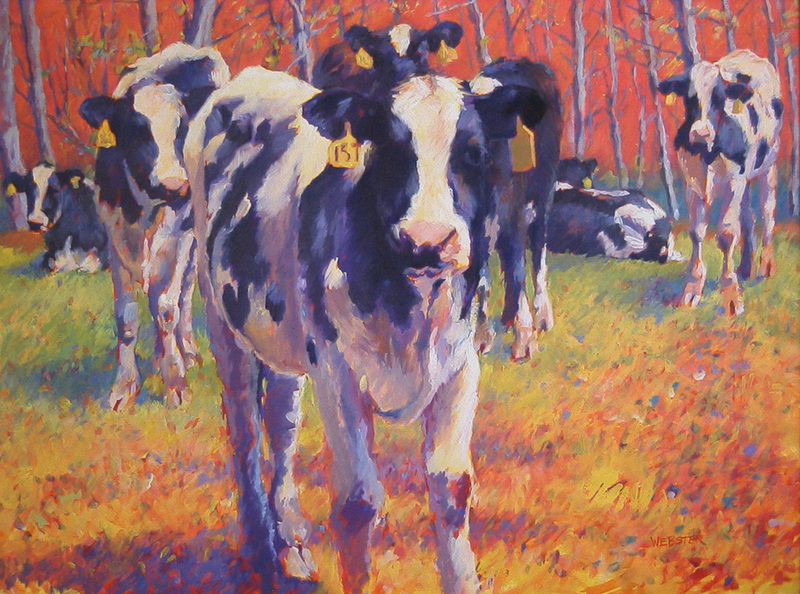 June's grandfather was a dairy farmer and her childhood home abutted a cow pasture. 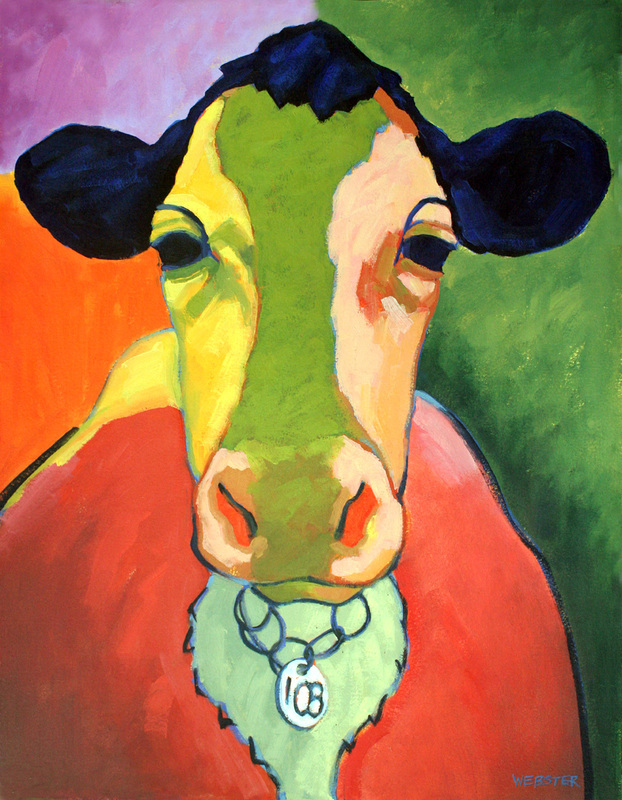 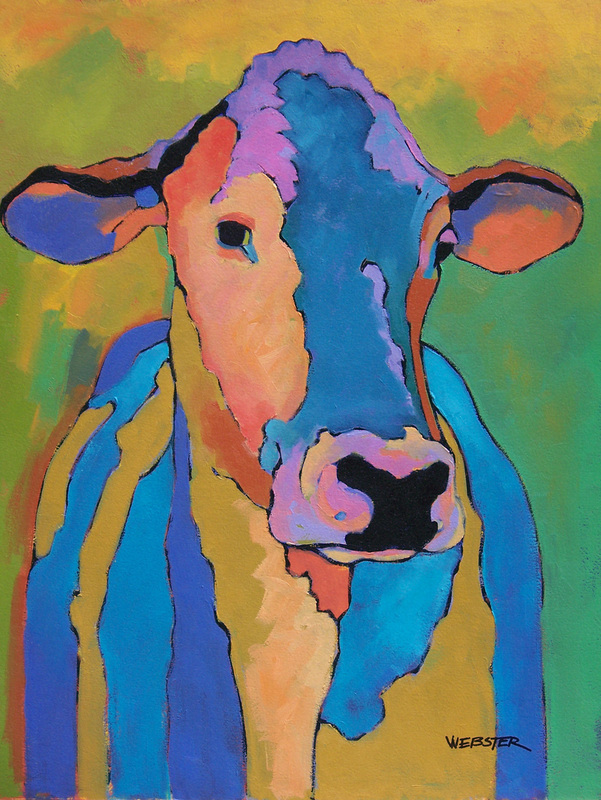 So early in her career, using cows as subject matter was a natural decision. 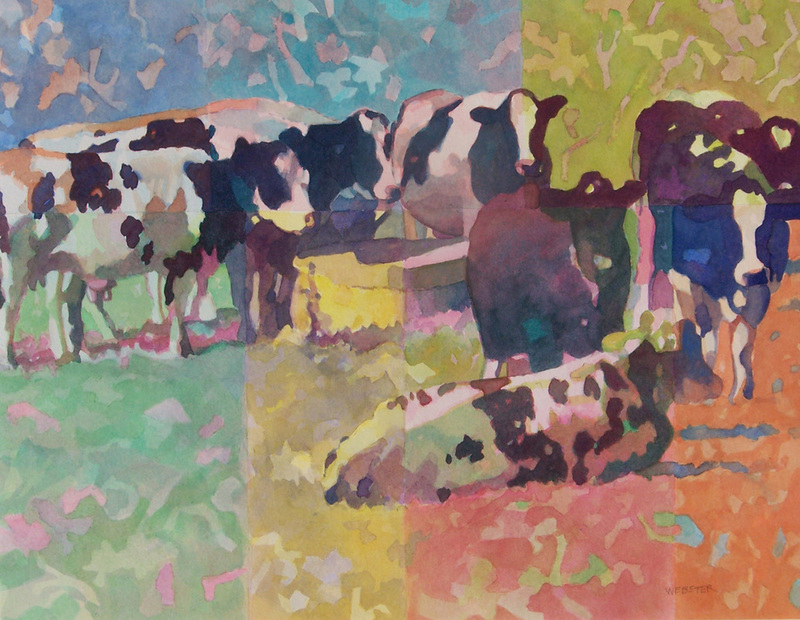 The abstract patterns of their markings and their uncanny ability to strike poses provided June with endless inspiration. 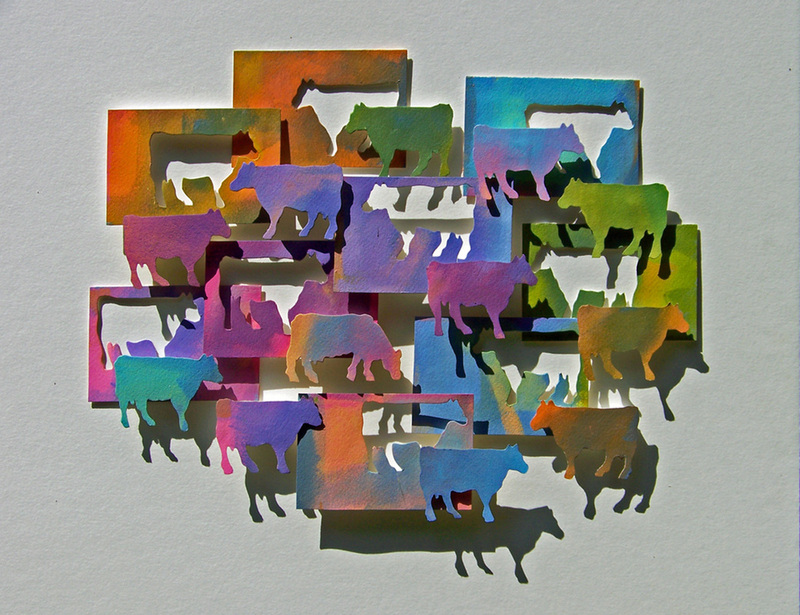 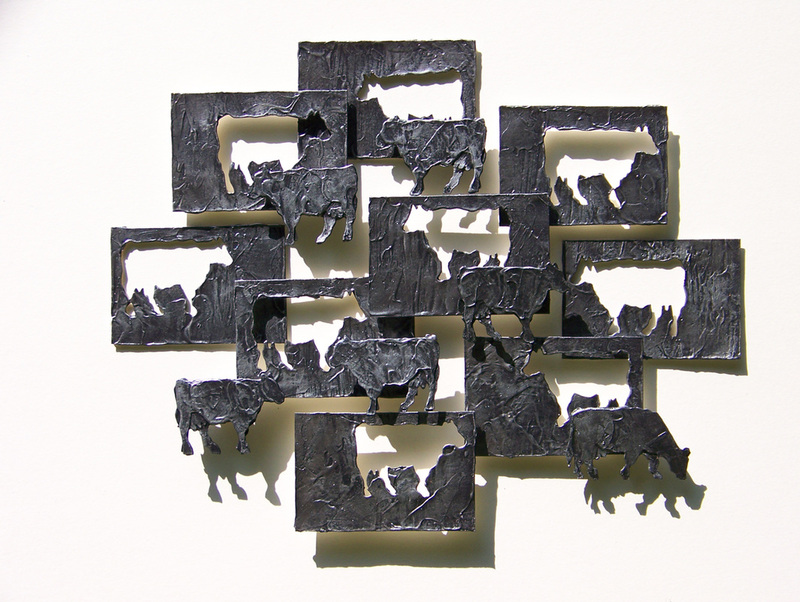 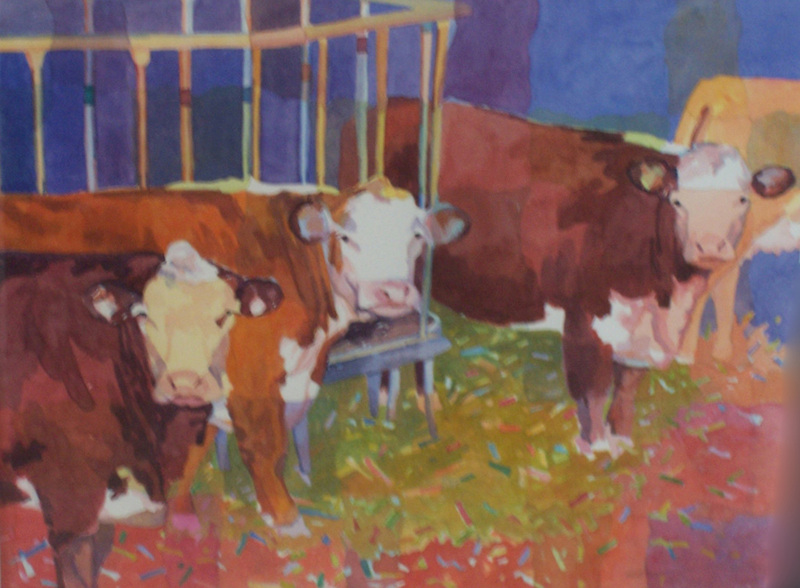 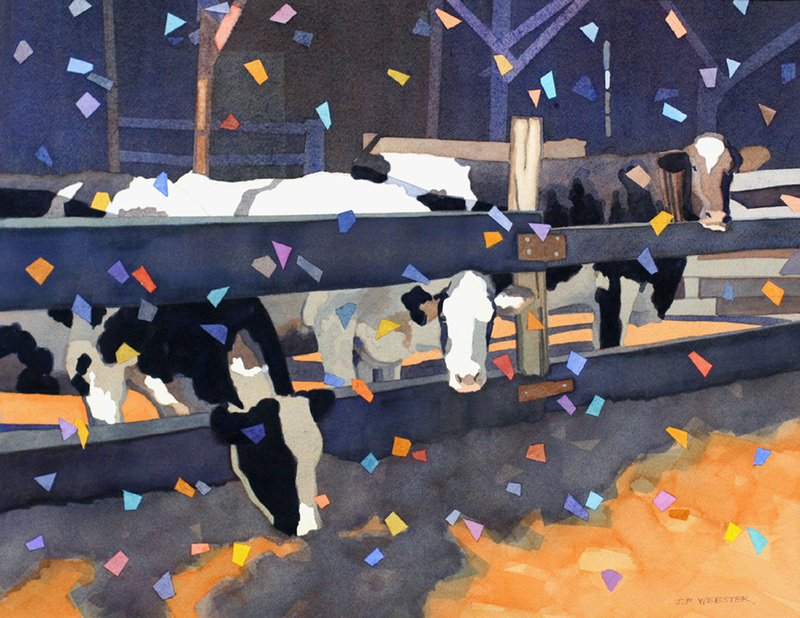 "Faux Metal Herd", Cut Paper and Acrylic, 18" x 22"
"Confetti Cows", Watercolor, 16" x 20"